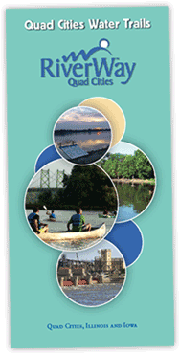 QC Wild Places - Fostering ecotourism in the two-state region | River Action, Inc. Nature thrives in the Midwest and the Quad Cities region is no exception. the welfare of local people." than the tourism industry as a whole. the hustle and bustle of world cities, ecotourists are spending time and money off the beaten path. They are seeking experiences of exploration and discovery, including hiking, bird watching, wildlife photography, snorkeling and SCUBA diving, sustainable hunting and fishing, and cultural immersion. 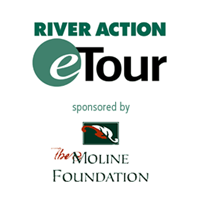 River Action has taken up the call to bring Quad Cities’ region natural areas to the attention of its communities and to foster ecotourism to these amazing resources. This effort is called "QC Wild Places." With input from the Upper Mississippi River Grant Writers Partnership, River Action has envisioned QC Wild Places as a cooperative partnership to advocate awareness, access, and conservation of the diversity of natural areas within the five-county region of Muscatine and Scott in Iowa and Rock Island, Henry, and Mercer in Illinois. These counties define a region of dozens of protected natural areas encompassing more than 16,000 acres. In cooperation with public and private land managers, conservation groups, corporate supporters, tourism bureaus, and community leaders, QC Wild Places will promote and support these natural areas, financially and otherwise, in order to better connect people to these resources and cultivate a culture of stewardship. 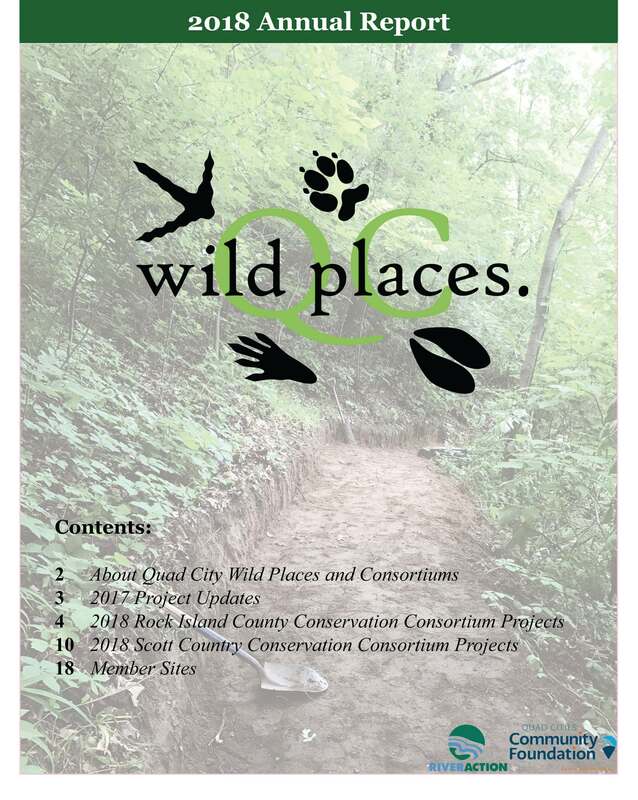 QC Wild Places will also host a coalition of experts to develop a comprehensive plan to coordinate conservation efforts and promote ecological corridor development throughout the five-county region.